Size of internal waters (to the baseline) and territorial sea (12-nm zone from the baseline) approximately 13,968 km². Exclusive economic zone about 98,240 km². High concentration of activities near the Limassol district and around the ports of Cyprus. Other future uses: securing fresh water supply. 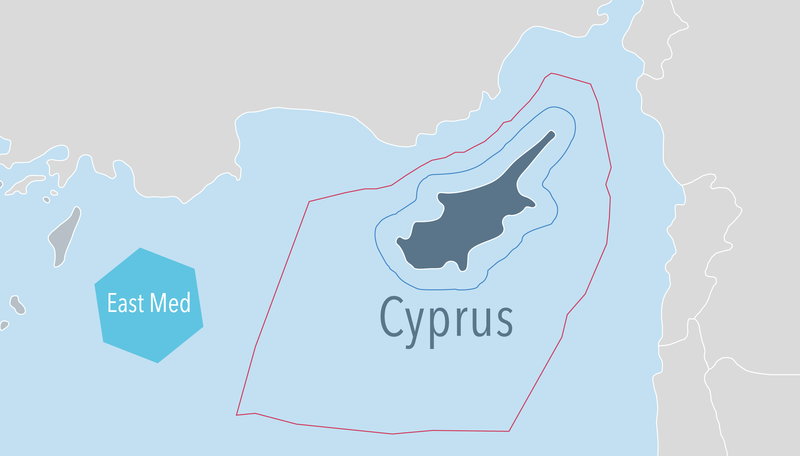 There are no legally binding / formal maritime spatial plans in Cyprus yet. A pilot plan for MSP has been developed for the coastal and marine area of Limassol (south of Cyprus). The MSP Bill transposing the Directive 2014/89/EU was approved by the House of Representatives on 29.9.2017 and published on the Official Gazette of the Republic on 13.10.2017 (Law 114(I) of 2017).